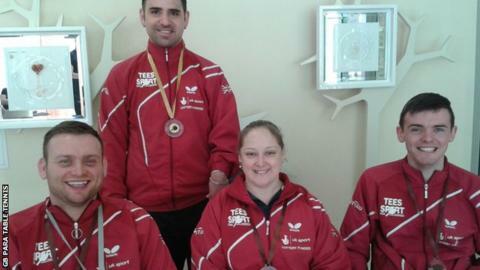 Swansea's Paul Karabardak took gold in the Para table tennis men's class 6 singles at the Slovenia Open. There was further success for Welsh players at the tournament as Rob Davies took silver in the men's class 1 singles. Davies then combined with Tom Matthews to take bronze in the men's class 1 team event. Beddau's Sara Head also took bronze in the women's class 3 team event with her London 2012 partner Jane Campbell.